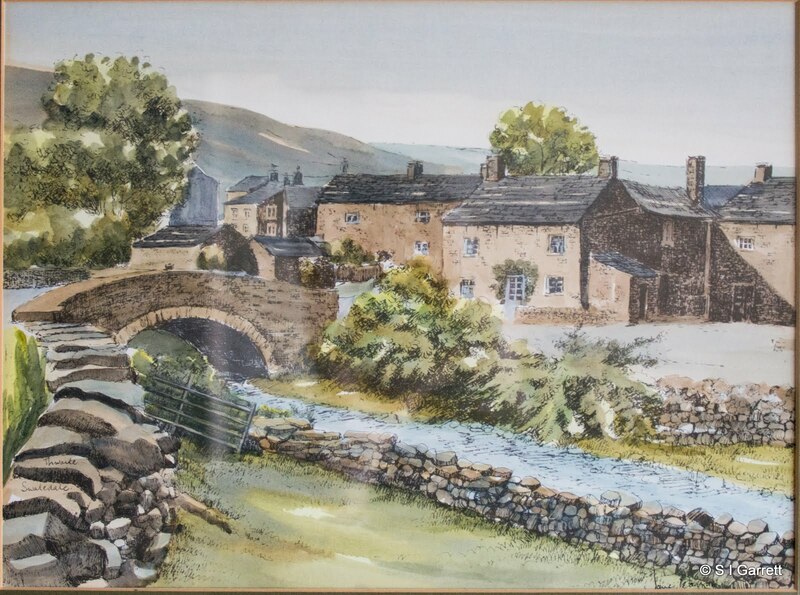 We have three watercolour paintings that we bought many years ago from an artist based in Yorkshire. The paintings were of places in the Yorkshire Dales and we have intended for some time to try and visit the location shown in the paintings. A week or two ago we were in the Dales and had a bit of spare time and found ourselves fairly near to the village of Thwaite which is the village that features in one of the paintings and so decided to take a slight detour and see whether we could spot the exact location shown in our painting. Surprisingly on arriving in the village we found the location straight away. Here's the photograph that I took which you can compare to the painting below it. I have uploaded the photo to both Fine Art America and Mydoodle. Click on the appropriate link if you would like to use the image to create a piece of wall art or greetings card.